Enmoladas, corn tortillas dipped in Mole sauce and then stuffed with shredded chicken or crumbled cheese. 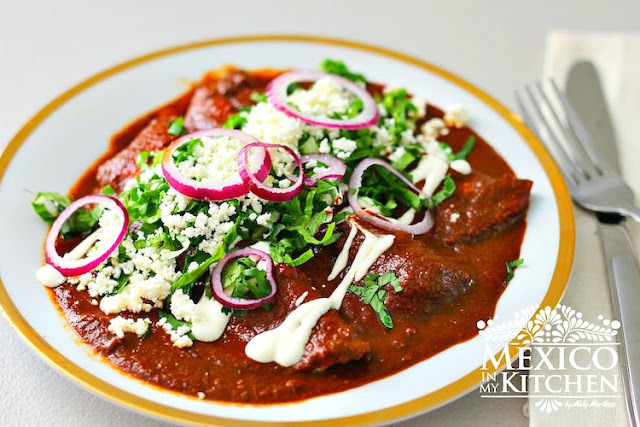 Enmoladas are a very common dish that takes advantage of the leftover Mole sauce. Lettuce, or any salad that fits your taste.